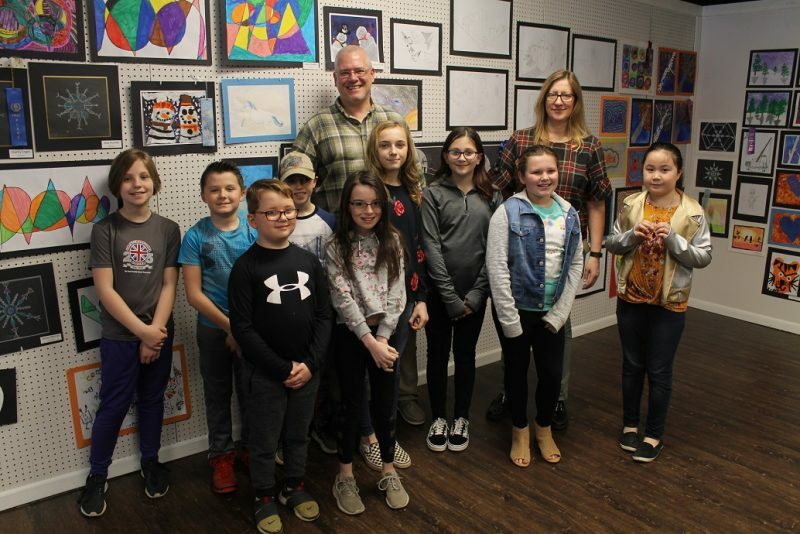 CLEARFIELD – The Clearfield Area Elementary School’s first-ever art show was hosted by the Susquehanna River Arts Center of Clearfield (SRACC) on Saturday, March 30 at the new center location on Market Street next to the Ritz Theater. Members of SRACC, a non-profit organization, expanded their support of Clearfield County students to offer a judged art show for the youngest members of the community. Teachers, Mr. Samuel Richards and Ms. Renee Shaw, expressed their excitement for the opportunity to allow their young artists to exhibit their artwork for public viewing. The artwork was judged by local artist, Steve Hindman, who has extensive teaching experience and with creating art over the years. The public was invited to join members at the center for a reception to celebrate the accomplishments of these young students. According to a SRACC press release, “art experiences in the school are often considered expendable in school budgets. Members invite people to support children and youth in the community by making a monetary donation to the center for upcoming events, such as the annual Clearfield County high school art show. Supplies and materials are needed for the center. Contact members on Facebook at the Susquehanna River Arts Center of Clearfield.